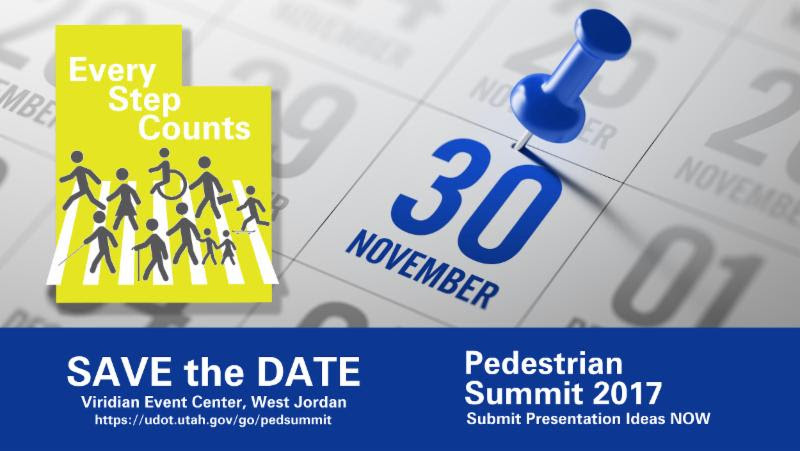 The Utah Pedestrian Summit, hosted by UDOT in partnership with various organizations, is an opportunity for design, health, and safety officials and advocates to share experiences, opportunities, and successes to improve the pedestrian experience in our communities. The Summit is designed to foster discussion and interaction between presenters and participants on a variety of topics, including safety education programs, engineering, design, health, and enforcement opportunities, among others. Together, we can make every step count.